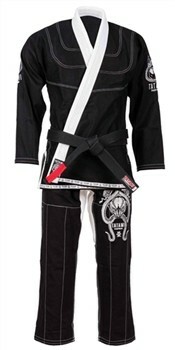 The latest Honey Badger Fightwear BJJ Gi from Meerkatsu & Tatami. 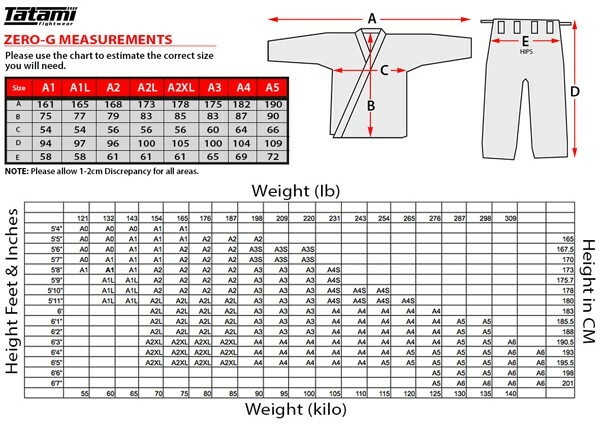 The Honey Badger V3 BJJ Gi is one of the most striking BJJ Gi's designed by the formidable designer Meerkatsu. 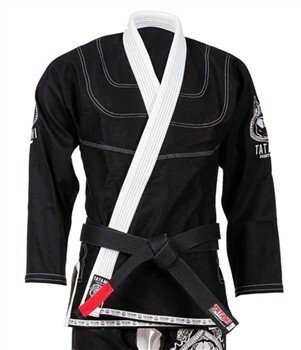 The V3 features a ripstop white contrast collar on a solid black Gi base. A large Honey Badger embroidery adorns the back of the Gi jacket, with a smaller version direct embroidered to the thigh area. - Triple stitched on all stress points.